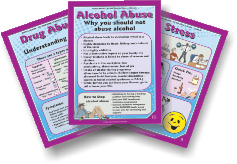 Facilitator’s Manual, 8 x Dvds, 1 Flipchart, 12 laminated Posters & 150 Pocket Posters. Topics: Hypertension, Stroke & Heart Attack, Diet & Lifestyle, Stress, Smoking, Diabetes, Alcohol & Drug Abuse. 12 x A3 or A2 laminated Posters. Topics: Hypertension, Heart Health, Diet & Lifestyle, Stress, Smoking, Diabetes, Alcohol & Drug Abuse. 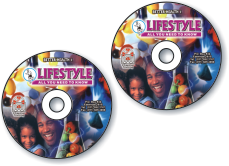 8 Dvds in English, Zulu & Sotho. Topics: Hypertension, Stroke & Heart Attacks, Diet & Lifestyle, Stress, Smoking, Diabetes, Alcohol & Drug Abuse. A2 12 Poster Flipchart with folding stand. Topics: Hypertension, Heart Health, Diet & Lifestyle, Stress, Smoking, Diabetes, Alcohol & Drug Abuse. 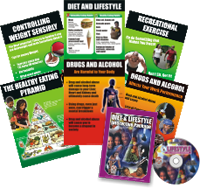 12 Pocket-sized handouts, topic: Hypertension, Heart Health, Diet & Lifestyle, Stress, Smoking, Diabetes, Alcohol & Drug Abuse. 3 Dvds, 3 sets of 6 A3 laminated Posters. 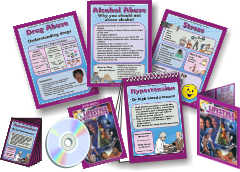 Topics: Diet & Lifestyle, Healthy Weight Control, Alcohol & Drug Abuse. 1 Dvd, 3 sets of 5 A3 laminated Posters. 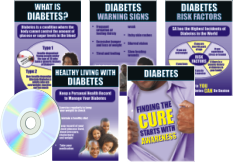 Topics: What is Diabetes, Types, Warning Signs, Risk Factors, Controlling Diabetes. 2 Dvd’s, 3 Sets of 4 A3 laminated Posters. Topics: Hypertension, Stroke & Heart Attack, Maintaining a Healthy Heart. 2 Dvd’s, 3 Sets of 4 A3 laminated Posters. Topics: Smoking, Chronic Obstruction Pulmonary Disease (COPD), How to stop Smoking.